We did the work for you! 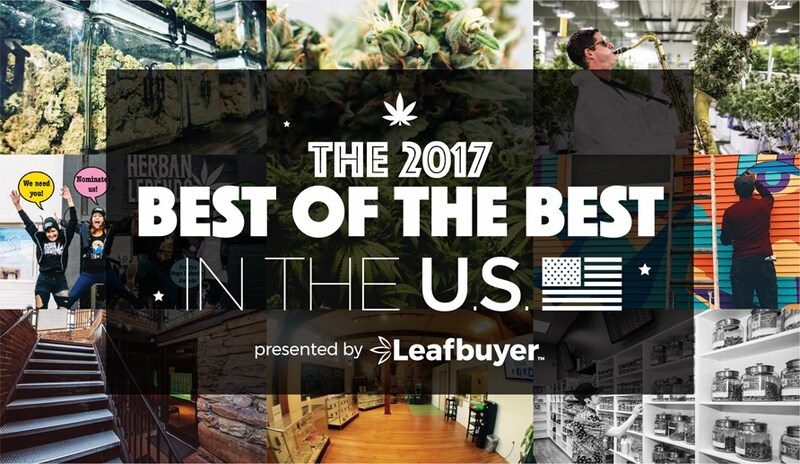 In September 2017 we conducted a nationwide cannabis consumer survey to find out which marijuana dispensaries are the Best of the Best! You all voted for your favorites in the following categories: Best Value, Product Quality, Design, and Customer Service. Now, click below to learn about the best dispensaries in your state! 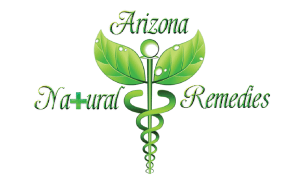 Arizona Natural Remedies is a medical dispensary in Phoenix with some of the very best cannabis deals in the state if not the country! They won Arizona's Best Value because of their crazy deals like Munchie Mondays, Wax Wednesdays, Flowering Fridays, and many more! They are open Monday-Thursday from 10am - 7pm and also the weekends (hours vary). Don't want to miss their deals? Check out their website or sign up for their texting list! Nature's Medicines serves over 50+ strains of award winning flower and a variety of concentrates. 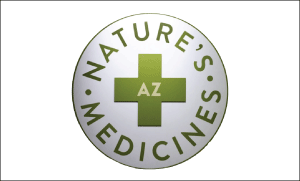 Nature's Medicines is the ONLY medical dispensary in Arizona that tests EVERY BATCH of flower and concentrates for potency and purity. Flower is priced at just $6.00, $9.00, $12.00, with TOP SHELF at just $15.00 per gram. Visit one of our two locations; in Central Phoenix at 2439 West McDowell Road, Phoenix, AZ 85009 and Fountain Hills, at 16913 East Enterprise Drive, Fountain Hills, AZ 85268. 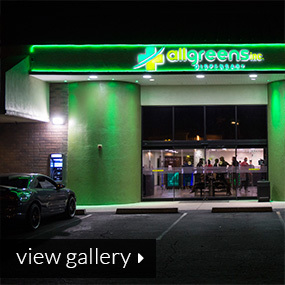 All Greens Inc. is a uniquely eye-catching dispensary located in Sun City, Arizona. 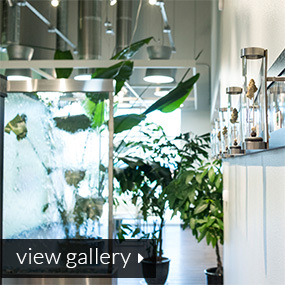 They earn the award for best design with their welcoming store space and striking displays. They place buds on small cloudy pillars which illuminate the densely-packed jars of flower. All Greens also have a wide selection of medical marijuana products, including cartridges, flower, topicals, concentrates, and more! 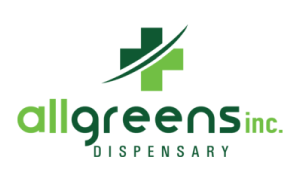 If you are in the Sun City area, stop by All Greens Dispensary; they are open 7am - 10pm every day! 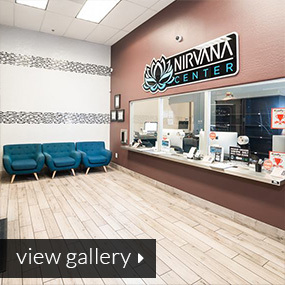 The Nirvana Center is a customer-centric medical marijuana dispensary in Phoenix, Arizona. 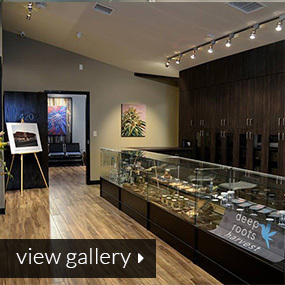 Their overall goals are to make sure the customer is thrilled with their experience and to serve the very best cannabis products at reasonable prices. According to this year's survey, they are doing an exceptional job. 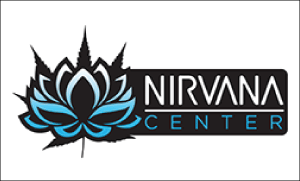 The Nirvana Center even offers online ordering and a delivery service for medical marijuana patients who are unable to leave their home. They are open 8am - 7pm every day of the week! 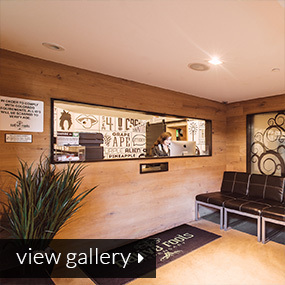 ThirdEye Wellness is a Prop D, fully compliant medical marijuana dispensary in Los Angeles, California. 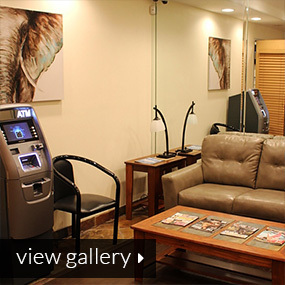 They have been serving patients since 2006 and are focused on providing them with the best value. ThirdEye Wellness offers incredible cannabis deals throughout the week (4-gram eighths, BOGO 50% Off, etc. ), solidifying their spot as this year's winner for Best Value in California. 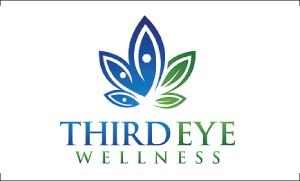 ThirdEye Wellness is open every day from 10am - 8pm, so stop in for some great deals! 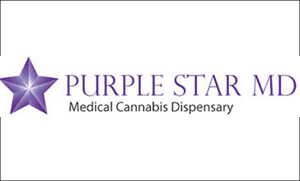 Purple Star MD, located in San Francisco, California, is this year's winner for the Best Quality Product in California. This medical marijuana dispensary offers a wide selection of quality flower, concentrates, and edibles from the most reliable brands. Not looking for a lot of THC? They also offer a selection of CBD-dominant products that help patients find relief. Purple Star MD is open 7 days a week with varying hours, so check out their profile for hours and great cannabis deals before you head over! 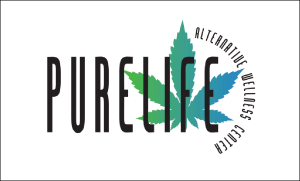 PureLife Alternative Wellness Center is a snazzy dispensary located in Chatsworth, California that has been in operation since 2006. 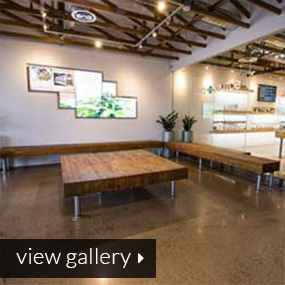 They are a non-profit medical marijuana dispensary with a unique design and structure built for a modern shopping experience. Glass shelves line the beautiful back wall, which is packed with cannabis products such as flower, concentrates, topicals, and more! Check them out today if you are in the Chatsworth area; they are open from 10am - 8pm every day of the week. 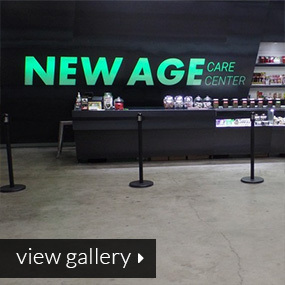 New Age Care Center, located in Los Angeles, CA, is this year's winner for Best Customer Service in California. 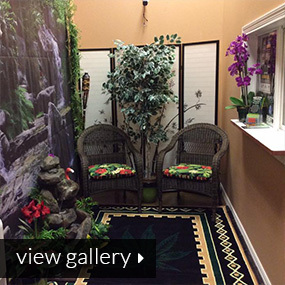 This medical marijuana dispensary strives to make patients feel welcomed and comfortable. 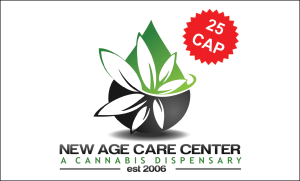 If you are looking for dank flower, vaporizers, edibles, topicals, or any other marijuana product, then New Age Care Center is the place for you. 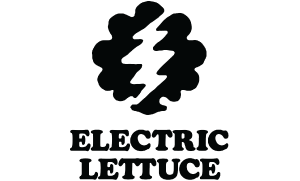 They are open every day from 10am - 8pm, so stop in and tell them Leafbuyer sent you! 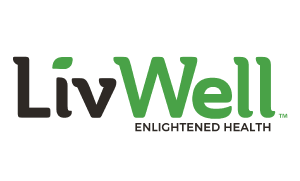 LivWell Enlightened Health is a recreational and medical marijuana dispensary chain with over a dozen locations throughout Colorado and this year's winner for Best Value in Colorado. If you are looking for great product at a great price, then look no further! LivWell Enlightened Health offers cannabis deals throughout the week on flower, concentrates, edibles, topicals, and more! 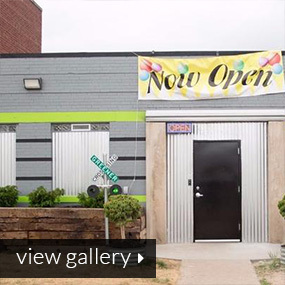 The next time you are in Colorado, check out one of the many LivWell Enlighted Health Dispensary locations. 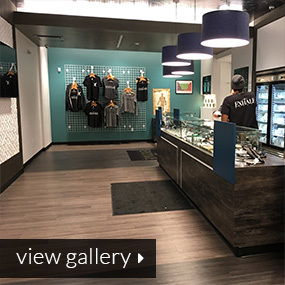 Native Roots is the largest cannabis dispensary in the country with 19 retail locations and more than 650 employees across the state of Colorado. 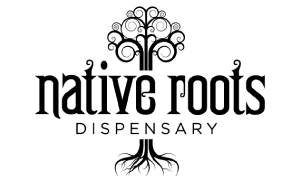 Founded in 2009 with medical marijuana centers and adding recreational dispensaries with legalization in 2014, Native Roots is one of Colorado's most recognized cannabis brands, providing a variety of high-quality recreational and medical cannabis, extracts, edibles, beverages, tinctures, topicals, and more. 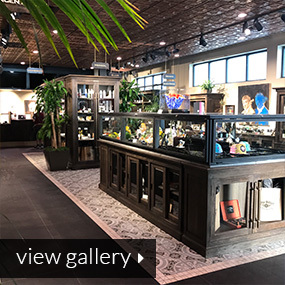 Diego Pellicer is a medical and recreational dispensary chain located in multiple states that definitely goes above and beyond when it comes to the design and quality of their stores. 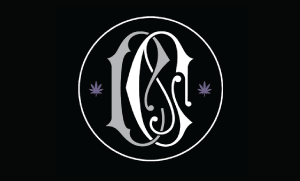 The marijuana dispensaries, and brand itself, have a classy, elegant feel which separates them from the rest. Their promise is to provide the consumer with the best customer service and products so that they can enjoy the experience to the fullest. 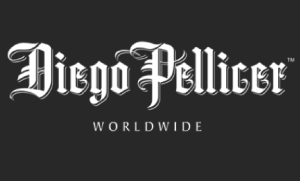 If you are in the West Denver area, stop by Diego Pellicer to check out their jaw-dropping store. 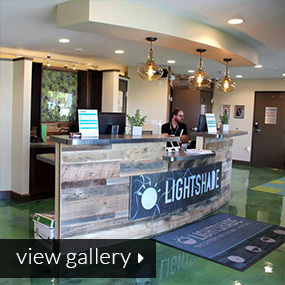 Lightshade is a recreational and medical marijuana dispensary chain with 7 locations throughout Colorado. Despite their rapid growth, they maintain a hyperlocal approach and demonstrate compassion for all patients and customers. 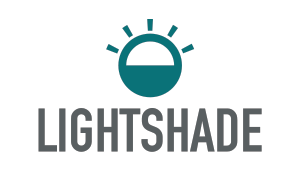 Lightshade has been providing exceptional customer service and cannabis products since 2011, and they show no signs of stopping in the near future. 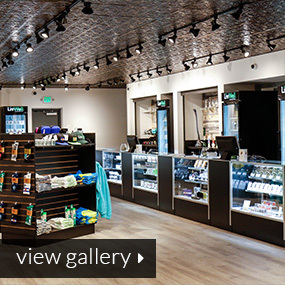 The next time you are in Colorado area, treat yourself to this customer-centric dispensary! Greener Crossing, a medical marijuana dispensary located in Detroit, MI, is this year's winner for the Best Value in Michigan. This premier marijuana dispensary is home to some of the best cannabis deals in the state (like $5 grams), and they are ready to save you money! 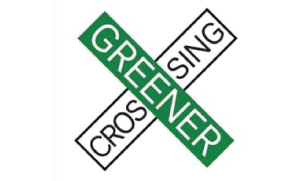 Greener Crossing offers a great number of flower strains, as well as different concentrates, edibles, vapes, and more. The next time you are in Detroit, make sure to stop by the Greener Crossing medical dispensary for great deals and products. 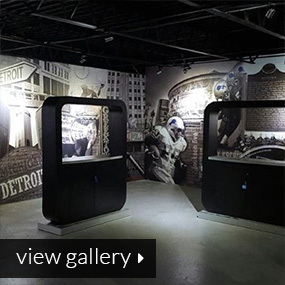 Tribute Detroit is a medical marijuana dispensary located in Detroit that strives to provide patients with the best quality cannabis. 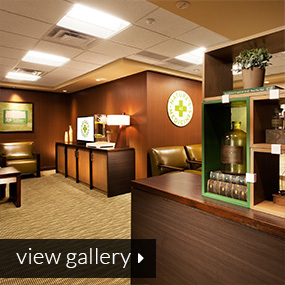 Their staff is dedicated to educating patients about the benefits and facts of medical marijuana. 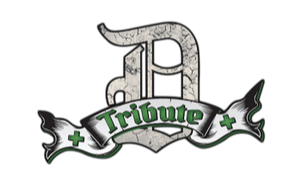 If you are in the area, check out the quality cannabis products at Tribute Detroit, and if it is your first time, you receive a free pre-rolled joint! They are open Monday - Saturday, 10am - 8pm, and Sunday 10am - 5pm. 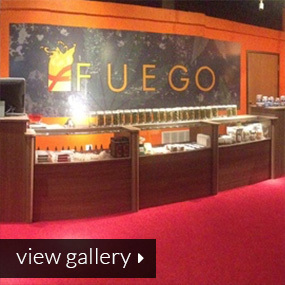 Fuego is a strikingly elegant medical marijuana dispensary located in the heart of Detroit, MI. Entering this dispensary feels like walking down the red carpet. 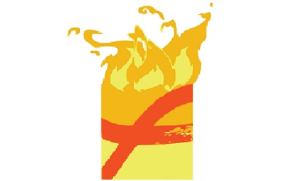 If you are looking to be blown away and impressed with the quality of décor and products, then Fuego is for you! 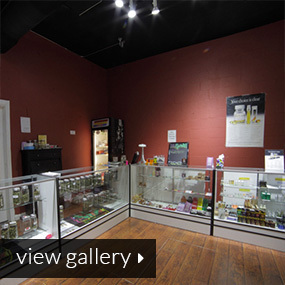 Wood and glass display cases line the walls, packed with quality flower, concentrates, edibles, drinks, and more! They are open every day of the week from 10am - 8pm. 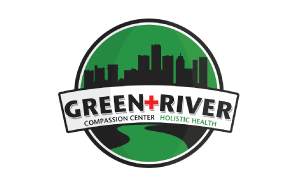 Green River Meds, located in Detroit, MI, is a state-of-the-art dispensary that provides patients with the top-quality cannabis medicine and the tools they need. They operate around helping their patients treat and overcome their ailments. 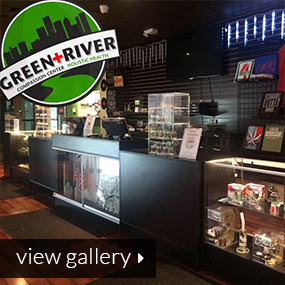 Green River Meds offers top-shelf products at reasonable prices. Have questions about marijuana or treatments? Check out the 'Ask a Budtender' feature on their cannabis blog or stop by their location to meet the friendly and welcoming staff! 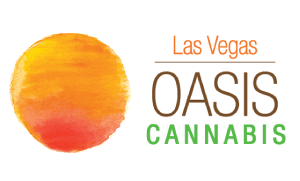 Oasis Cannabis, this year's winner for Best Value in Nevada, is a premium marijuana dispensary located in the â€œGreen Districtâ€� of Downtown Las Vegas. 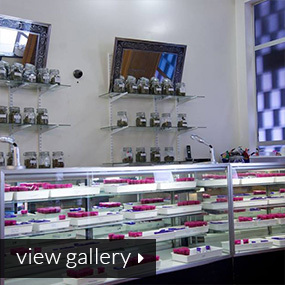 Oasis carries a vast selection of cartridges, concentrates, edibles, pre-rolls, & flower. They are open 24 hours a day, so no matter what time you need cannabis, it's available for you! First time patients get 20% off their initial orders, & Veterans always get 10% off (22% on the 22nd of each month). Sahara Wellness, a medical and recreational marijuana delivery service in Las Vegas, NV, takes this year's award for Best Product Quality. They carry 25+ strains as well as a wide selection of concentrates and tasty edibles. Looking for some Cheeba Chews or a 710 Kingpin Cartridge? No problem! 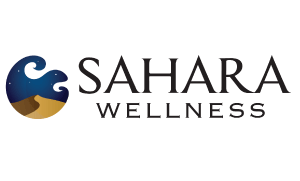 Next time you are in the Las Vegas Area, be sure to give Sahara Wellness a call and get the best cannabis products delivered right to you! 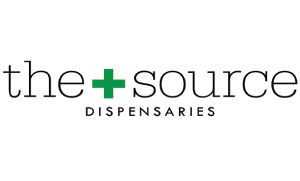 The Source is a marijuana dispensary chain in Nevada, with locations in Henderson and Las Vegas. 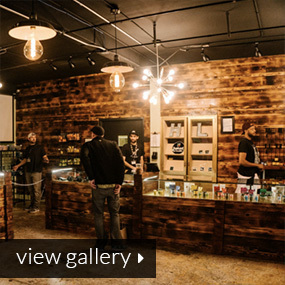 The Vegas location features glass and wood shelving along the wall, covered with cannabis products like flower, THC topicals, extracts, and more. This chic retail location is open seven days a week, so, if you are looking to be blown away by amazing décor and products, then stop by The Source and tell them Leafbuyer sent you! Exhale Dispensary is this year's winner for Best Customer Service in the State of Nevada because of how much they focus on patients and consumers. They are committed to providing top-quality products and answering all questions and will settle for no less. Consumers rave about the products and service provided by Exhale, â€œFirst time I've been in a dispensary, and it was a great experience. 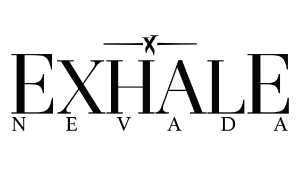 They were knowledgeable and eager to help!â€� Exhale is open from 9am â€“ 1am every day of the week. 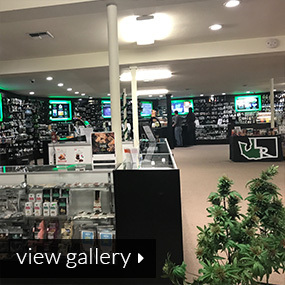 Herbal Grasslands, located in Salem, OR, is a premier medical and recreational marijuana dispensary that strives to provide the best value to patients and customers. 4-gram eighths, incredible daily discounts, and top-quality products are just a few reasons why Herbal Grasslands stands out from the competition. 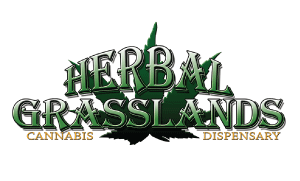 Herbal Grasslands provides expert assistance to any customer that walks through their doors. They are open every day from 10am â€“ 8pm, so the next time you are in Salem, be sure to stop by! 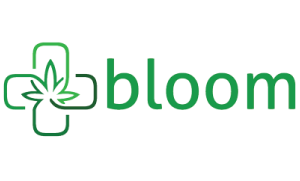 Bloom, a recreational and medical marijuana dispensary located in Portland, is this year's winner for Best Product Quality in Oregon. Walking through the doors, you will be amazed at the décor and the products in their glass cases. Bloom provides a wide variety of high quality flower priced for every budget as well as concentrates, edibles, topicals, and much more. Plus, Bloom delivers! 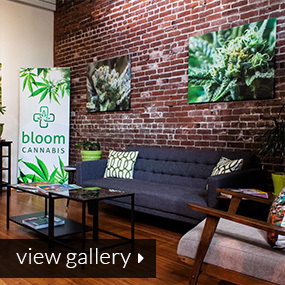 The next time you are in Portland, be sure to stop by or call Bloom! 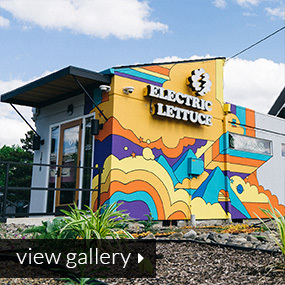 Electric Lettuce, this year's winner for Best Design in Oregon, currently has three locations within the state. Eye-catching kaleidoscope murals draw you inside where the interiors and custom red oak woodwork pay homage to the 1960's birth of marijuana counterculture. All locations are open Monday-Saturday from 10:00 am â€“ 10:00 pm and Sunday from 10:00 am â€“ 7:00 pm. Swing by to score some weed, spin some vinyl, and peruse the era-specific memorabilia. Nectar Cannabis is one of the largest recreational marijuana dispensary chains in Oregon with 12 open locations. 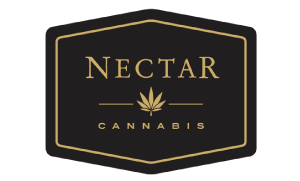 Nectar combines an impressive selection of cannabis products with a passion for customer service that assures customers will find what they're looking for and leave with a smile. Significant daily cannabis deals and a commitment to being open each and every day of the year are a couple of other qualities that have helped this chain build a loyal following. Local Roots Marijuana, this year's winners for Best Value in the state. 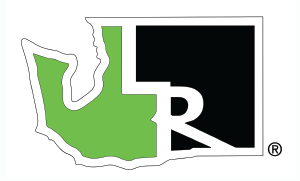 Established in 2010, with five Superstores throughout Snohomish County. Cut through the hype and get the best value from the most trusted name in Washington. They provide consistent deals like $5 grams of flower, $15 grams of oil, $20 eighths, and much more. Awe-inspiring selection with honest prices. Customers love them because they love their customers! Clear Choice, a recreational and medical dispensary, offers local, pre-tested cannabis to consumers in the Tacoma area. They are committed to providing exceptional customer service and being a knowledgeable, reliable provider of cannabis products. 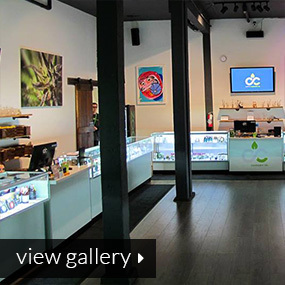 Clear Choice provides the largest selection of premium cannabis, glassware, concentrates, and more. Clear Choice is currently open 7-days a week, so stop by and see for yourself! 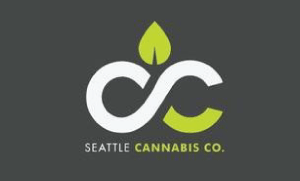 Seattle Cannabis Company provides exceptional products inside their sleek, welcoming marijuana dispensary. The design of the retail cannabis dispensary location is professional and not overly complicated, making both regular consumers and newcomers feel comfortable. 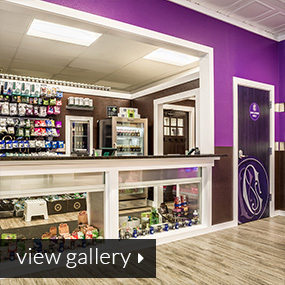 They offer over 30 different cannabis strains as well as a wide selection of edibles, pre-rolls, and extracts! 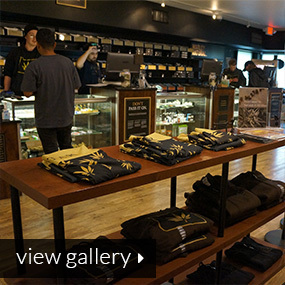 Their products are locally-sourced from over 20 of Washington's top cannabis producers. 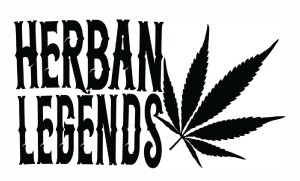 Herban Legends' mission is to provide customers with the â€œcoolest pot experience,â€� and according to the Leafbuyer consumer survey, they are succeeding! 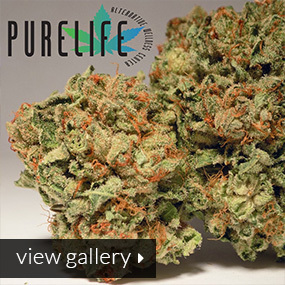 Their budtenders offer exceptional customer service and a plethora of useful advice. They provide even more helpful information through their blog. Come check out why they won this year's award for Best Customer Service in Washington!